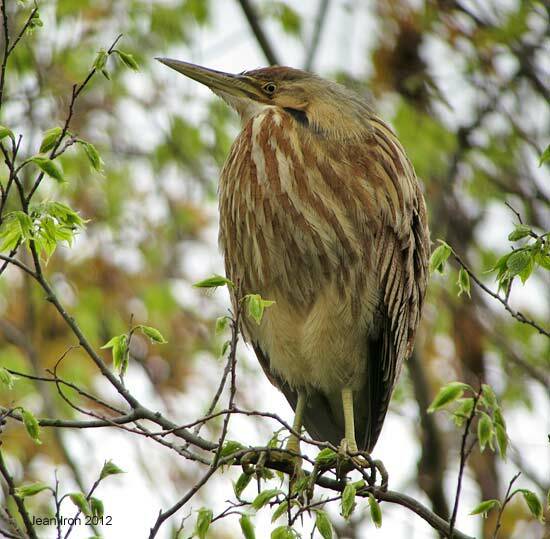 Early morning on 7 May 2012, this American Bittern was found about 15 - 20 metres high in a tree near the Tip tram stop at Point Pelee. Rain and thunderstorms during the night probably caused it to land in the tree for shelter from the storm. American Bitterns rarely land in trees. During the day it rested and preened, showing long feathers around its neck. 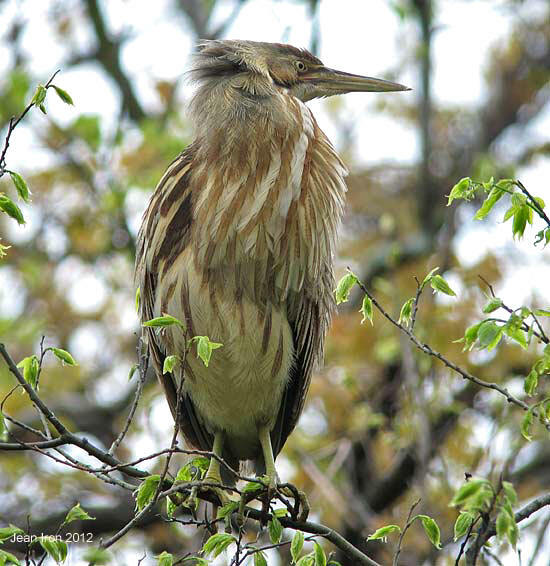 In May 2003, an American Bittern landed near the top of a tall Maple tree in Brookbanks Ravine near my house in Toronto, where it spent the day and was gone the next.